Join UNCG’s Department of Interior Architecture and the Center for Community-Engaged Design for the 6th annual Novem Mason Symposium for Community-Engaged Design at the University of North Carolina at Greensboro. 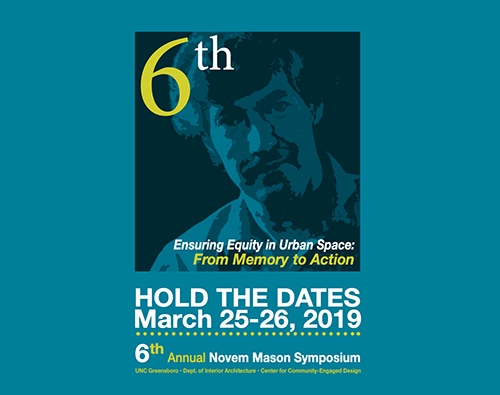 The Novem Mason Symposium will take place on Monday, March 25, 2019 – Tuesday, March, 26, 2019. More details to come.